The key to unlocking the best sleep of your life is relaxing your mind and body. When your body is fully supported and held at the ideal temperature for sustaining deep restorative sleep each muscle group is allowed to disengage and recharge. When your body is in a state of relaxation, your muscles are able to regenerate. Through adaptive materials, each Relax-O-Pedic Sleep System is designed to put your body in the ideal position for relaxation. Whether you are more comfortable falling asleep on your back, side, or stomach the XO 350 is designed to balance your skeletal system, to put your muscles in their ideal state of relaxation. Ensuring your body remains in the ideal sleeping temperature promotes deep restorative sleep. Copper naturally kills bacteria and conducts excess heat away from the body. The perfect balance of pressure relief and support to fit your body's natural posture. 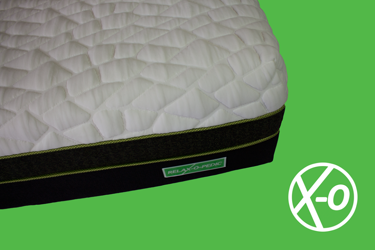 Modified sculpted memory foam provides additional support in the lumbar and thigh region, additional pressure relief in your shoulders, hips, and knees, and the perfect place to rest your pillow. High resilience ventilated natural pressure relief in a buoyant familar comfort that allows for air flow. 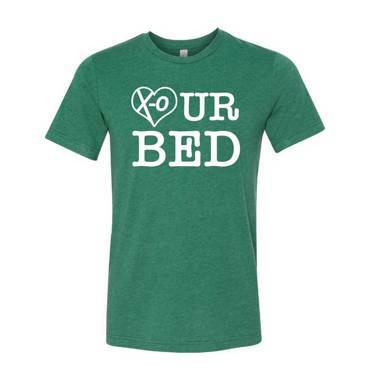 Designed to provide advanced support and comfort. Creates a comfortable sleeping climate, allows for downward airflow. 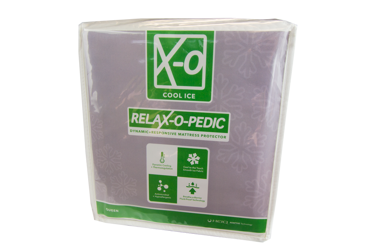 Excess heat is dissipated through the side of the mattress. 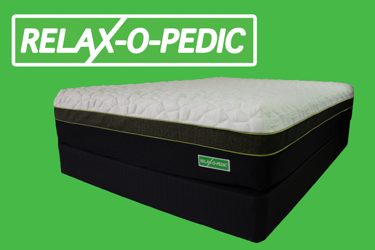 Promotes durability and support of your body aligning your body lets your muscles relax overnight.